Will Nokia be first out of the 1080p gate? 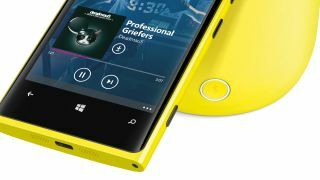 Some code spotted in the Windows Phone developer kit suggests that the next generation of devices will come rocking full 1080p HD. One plucky dev eked the files out of some newly-released updates to the Windows Phone 8 Visual Studio 8 emulator beta. Windows Phone 8 currently supports up to 720p HD, but these developer files speak of 1080 x 1920 resolutions alongside the existing pixel counts. Considering Microsoft just held a big event last week (take a bow, Build 2013), the timing of this find is a little odd - but as luck would have it, the 'soft's BFF Nokia has a phone-based event on the cards for next week. Will we see the first full HD Windows Phone launch then? Given that the word on the street is that the Nokia EOS (or should that be Nokia Lumia 1020?) handset will feature a 41MP camera, a full HD display option would come in fairly handy too. Either way, the question of a full HD Windows Phone handset isn't so much an if as a when.